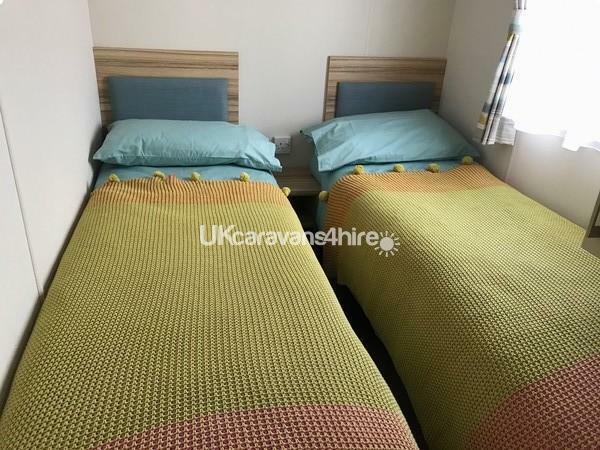 £100 non refundable deposit for weekly breaks and £50 non refundable deposit for shorter breaks. Full payment required 4 weeks prior to holiday start date. Nightly pricing available on application. 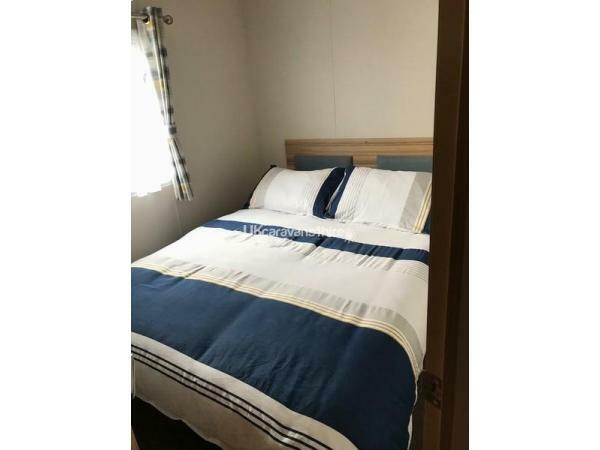 Three Bedroom caravan with one double bedroom, two twin bedrooms and a comfortable pull out double bed in the living area. Fitted wardrobes in all bedrooms. There are two toilets, one with a shower and shelving. 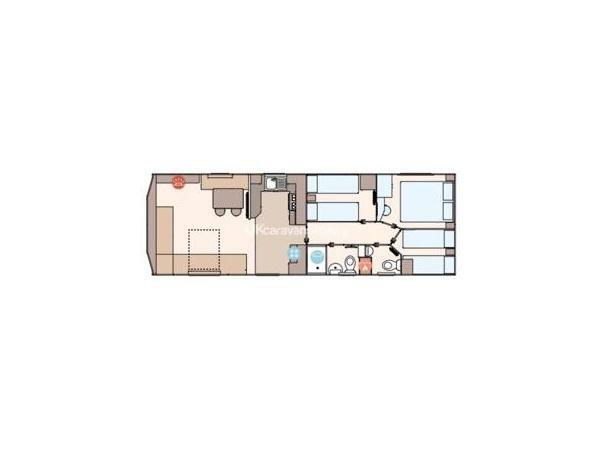 The fully fitted kitchen includes a fridge freezer, integrated microwave, toaster, kettle, gas oven and hob along with many other kitchen accessories. 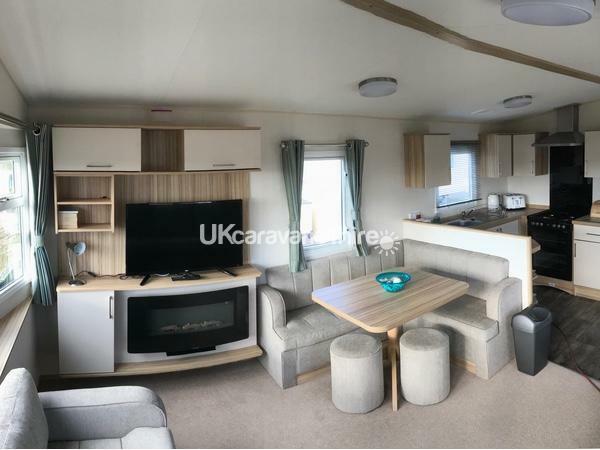 The spacious living area is bright and airy with large comfortable seating, fixed dinette seating, a stylish electric fire and a flat screen TV/DVD. 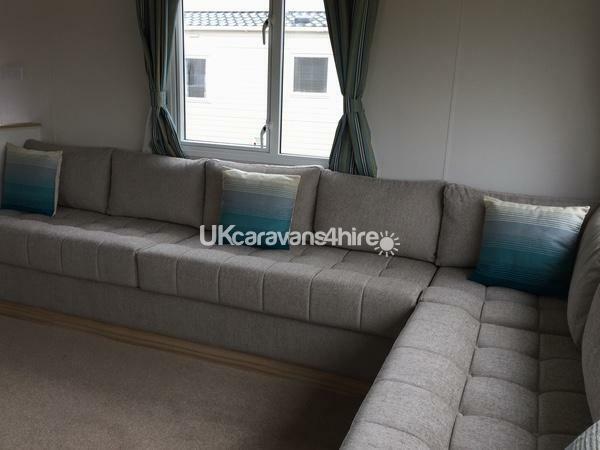 Our caravan is fully equipped with full double glazing and gas central heating throughout. All linen is provided, however please bring your own towels. 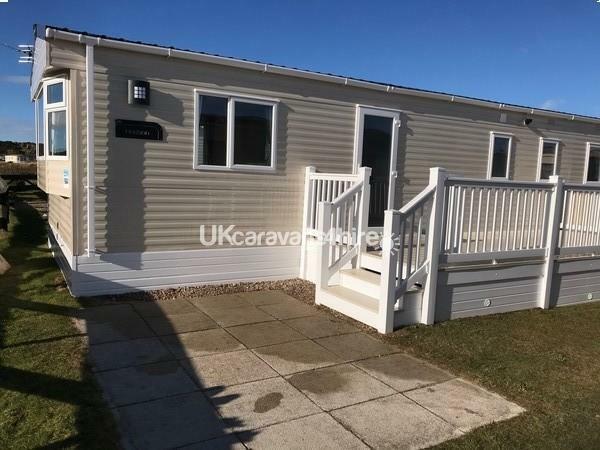 The Caravan is situated in a prime position with close access to all holiday park facilities and is a short walk over the dunes to the beach. 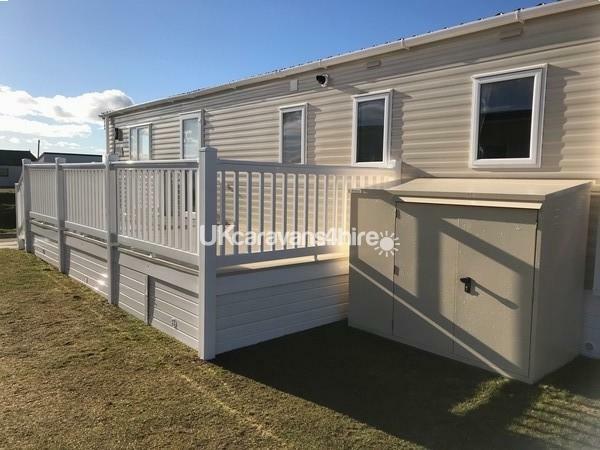 There is also a recently installed large south facing decked area with gate and patio furniture, leading on to patio area. Outside storage available. Bookings for July and August are available for minimum of 7 days, Saturday to Saturday. Leisure facility passes for all adults (16 years old and over) cost £10 each and are available at reception. This is non refundable. 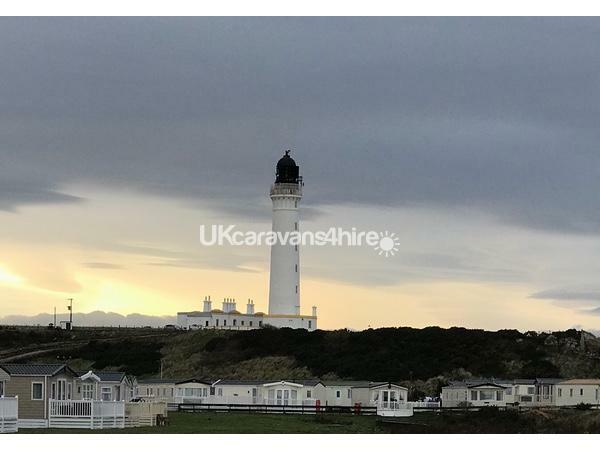 The site is situated on the Moray Coast and boasts a beautiful beach with coastal walks to adjoining villages. Within Lossiemouth and the surrounding area there are a number of golf courses. There are also Visitor Centres around the Moray area that are well worth a visit as is a trip on the Malt Whisky trail. The nearby town of Elgin provides shopping, parks, restaurants and direct transport by train and bus to towns such as Forres, Nairn and the City of Inverness. Information about many local attractions is provided in the caravan. Additional Info: eLive entertainment for all ages in the club lounge, kids club, bingo, meals, fish and chip shop, gym, sauna, steam room, cafe, large children play area, crazy golf. 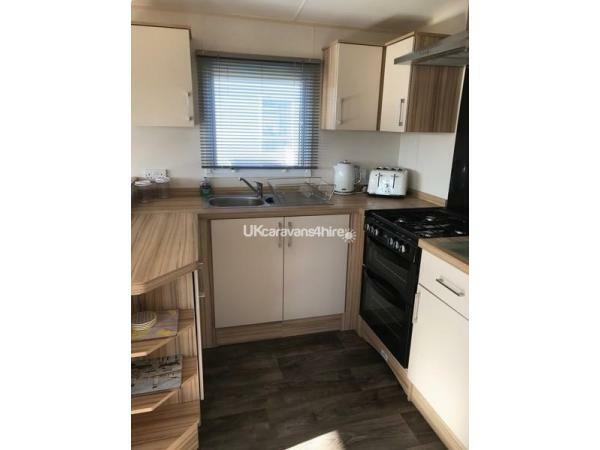 A lovely spotless caravan . A nice welcome pack on arrival . 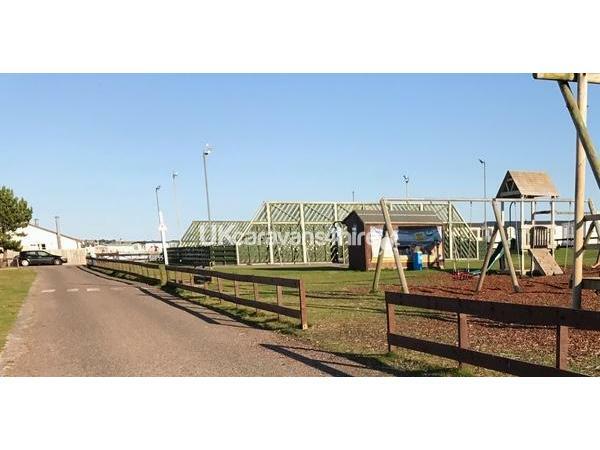 Caravan so close to beach and park facilities. Grandkids didn't want to come home! Highly recommend this caravan and hopefully get back next year.